Michelle Mach is a prolific writer, jewelry designer and editor. She gained notoriety as the editor for Beading Daily and continues to impress with her Books and Beads blog, where she posts book reviews, inspiration and articles about crafting. Michelle’s designs have been featured in numerous magazines and today she let slip a few secrets to craft contests in this guest blog. If you’re serious about winning, look for contests that use techniques, materials, or themes that you’ve used before. This allows you to concentrate on developing a unique twist or a more complex design, rather than worrying about the basics. If you still want to enter a contest in a new niche, don’t despair. It’s still possible to win, depending upon the answers to the remaining questions below. Nothing is more valuable than being able to see the contest winners from previous years. The official rules may state that the competition is open to all types of work, but looking at the entries will tell you if there is an unwritten preference for certain colors, styles, or motifs. You’ll also be able to see whether the winners are all established professionals or unknowns. The number of entrants and winners will also tell you how stiff the competition is. Product manufacturers often sponsor contests as a way to promote their brands. Winning designs and instructions may be featured in magazine advertisements, social media sites, or company newsletters. Because contests are often seen as a selling tool, designs that feature the most products–not necessarily the most innovative use of products–may be favored to win. At the same time, product manufacturers often have a huge audience and promote heavily, so it’s likely that you’ll receive valuable publicity. Some contests, especially those sponsored by individual blogs, often choose a random winner from all entries. This “feel good” option gives everyone an equal chance of winning and eliminates hurt feelings. It also makes for a quick turnaround, as judging by merit takes considerable time. 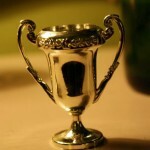 Since the stakes are low, these contests often attract a lot of beginners who are nervous about sending out their work. Another popular option is having readers choose contest winners. If you’re a social butterfly and comfortable campaigning for votes on Twitter, Facebook, or your blog, you’re likely to do well in contests that award prizes by popular vote. 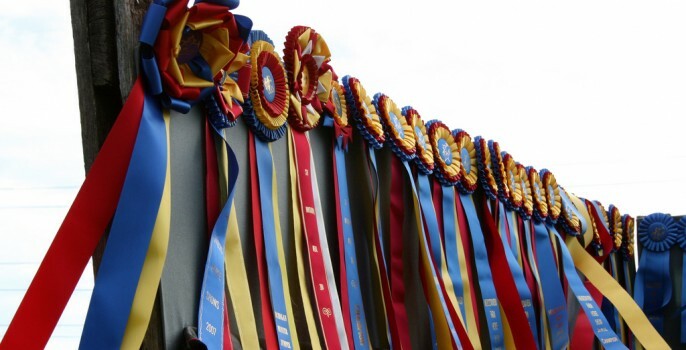 Other contests may be chosen by distinguished judges such as magazine or book editors, heads of large product manufacturers, or celebrity crafters. If you’re entering a contest for the prestige factor–something to list on your resume or help you win a book deal–you’ll want to compete in contests that are judged by those respected in the field. You rarely have anything to lose by entering a craft contest. If you don’t win, you’ll still have made something wonderful that you can sell, give away, or enter in another contest. Cover image by Kari on Flickr. Trophy 1 by Julie Rybarczyk on Flickr.